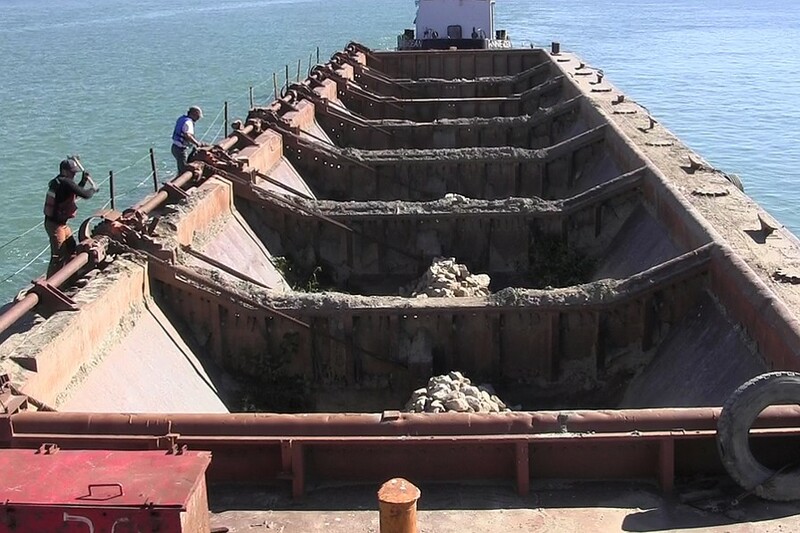 Activities such as construction of the shipping channel, the dumping of dredge spoils, the hardening of shoreline, and the destruction of shallow wetlands have resulted in a loss of over 95% of the Detroit River’s coastal wetlands. 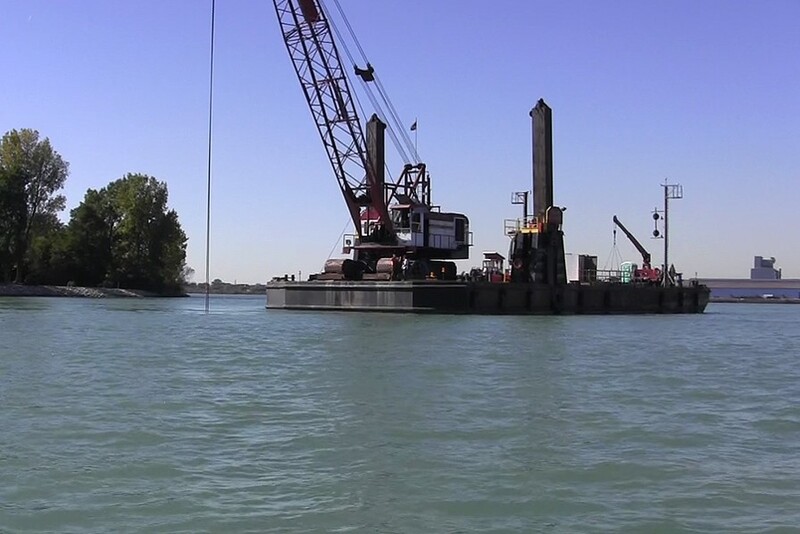 The protection and restoration of existing coastal wetland and aquatic habitat is a priority for the Detroit River Canadian Cleanup partnership. For more information, please visit our Annual Review (yearly reports) and DRCC Publications pages. 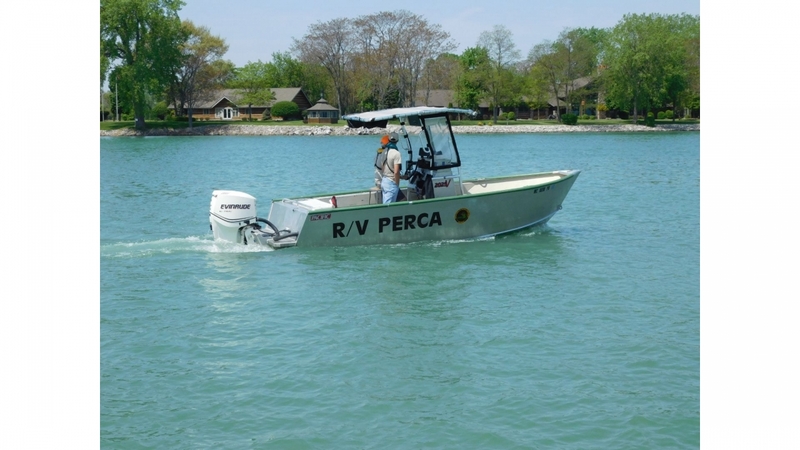 The DRCC Habitat Work Group, which is comprised of federal, provincial, local experts, and university researchers, has been working towards prioritizing areas in the Detroit River for potential fish habitat restoration projects. 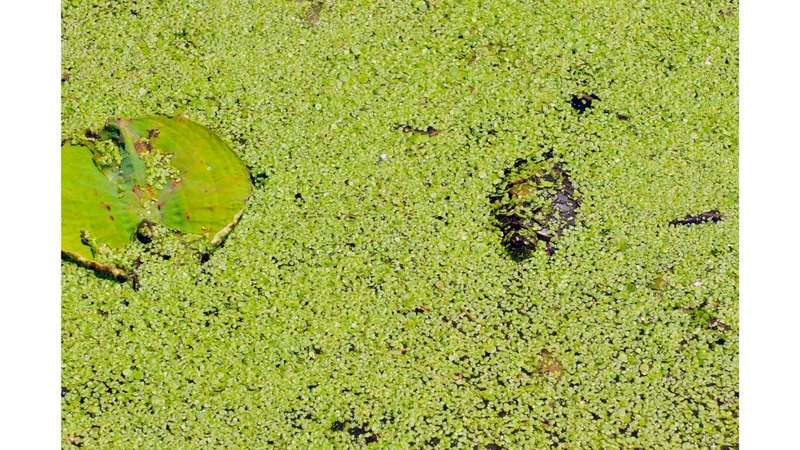 Many of these potential restoration actions include installing breakwaters to create slow water areas in order to encourage the establishment of vegetation, which makes good nursery habitat for young fish of many species. 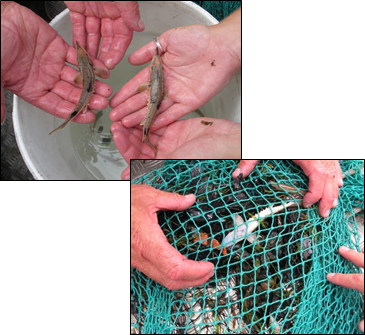 Field researchers were on the river in July and August 2015 collecting data about fish communities, vegetation, sediment, and water quality at 22 of the potential restoration sites. DRCC partners then engaged an engineering consultant to more closely evaluate the feasibility of several of these projects. 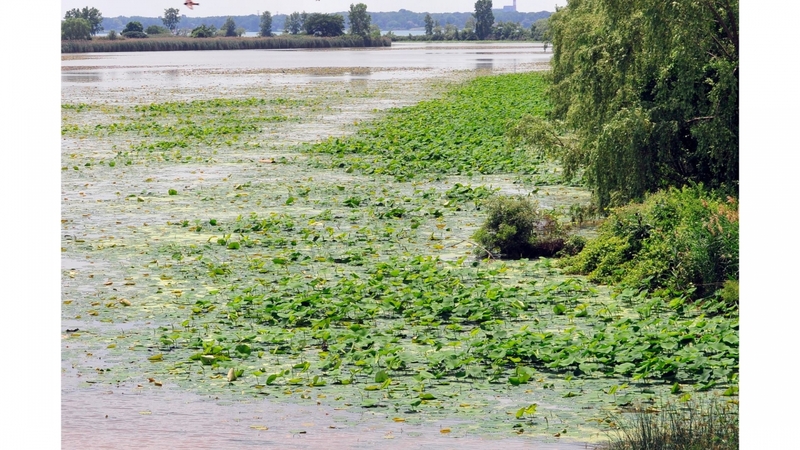 Since 2007, the Canadian Wildlife Service has monitored the health of four wetlands in the Detroit River. 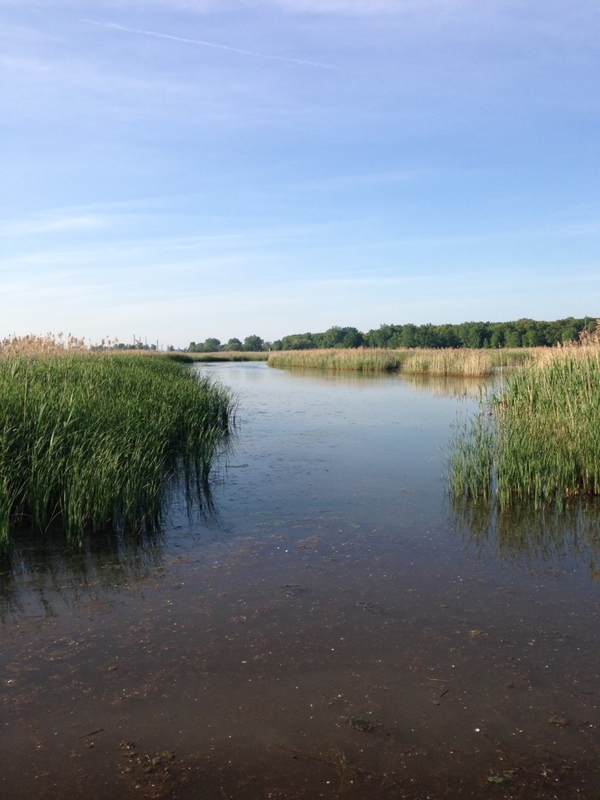 Wetland health is measured by assessing the water quality, submerged aquatic vegetation, and marsh bird communities. While water quality in our wetlands has been improving, further monitoring in the Canard River watershed will help determine where to mitigate erosion issues to further improve water quality. 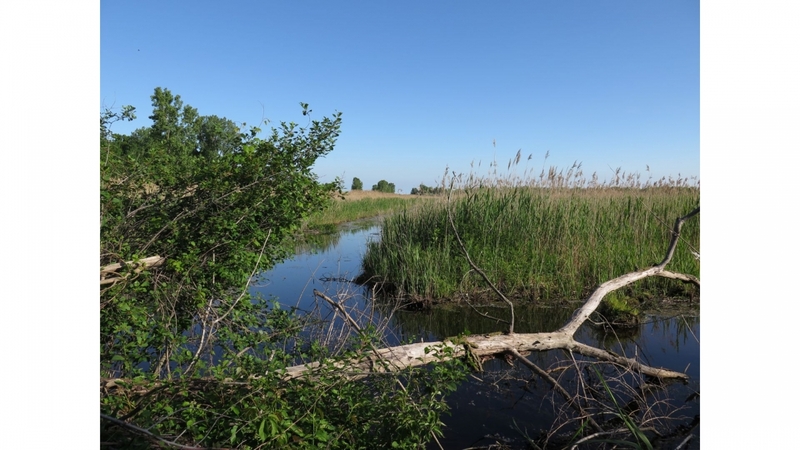 The vegetation in the wetlands has been found to be in good condition however, a recent decline in the marsh nesting birds is prompting further investigation for our Degradation of Fish and Wildlife Populations BUI. 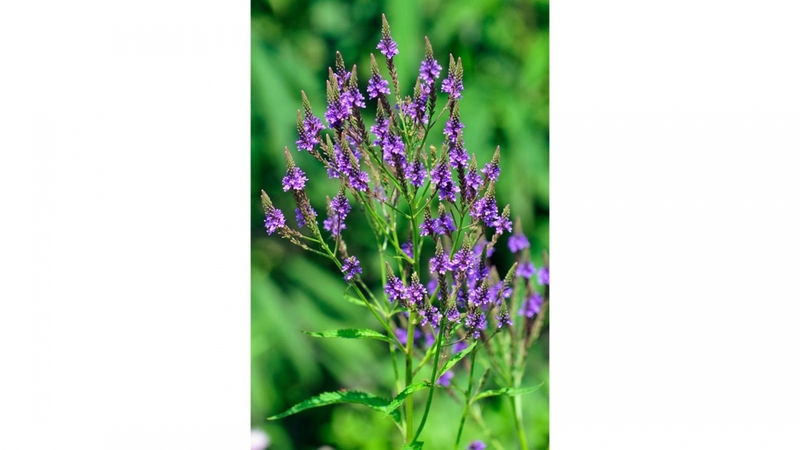 In 2016-17, ERCA restored a total of 12 hectares (30 acres) to Carolinian upland forest or tallgrass prairie. 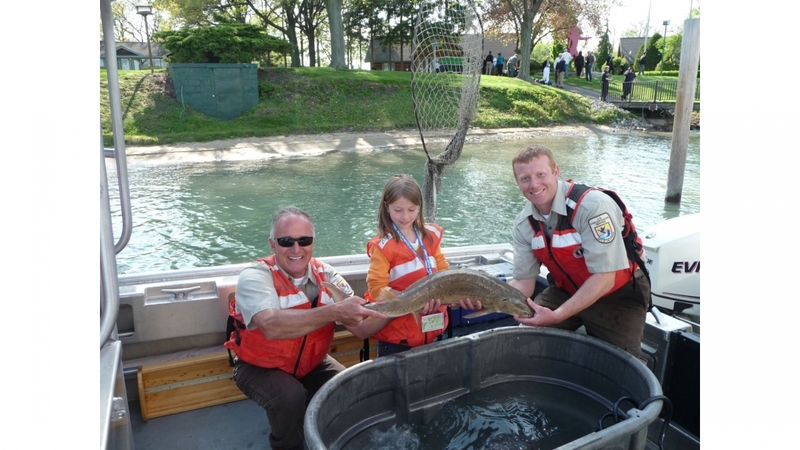 All project decisions were guided by the priorities outlined in the Essex Region Natural Heritage System Strategy (ERNHSS) and are consistent with the habitat priorities of the Detroit River RAP. 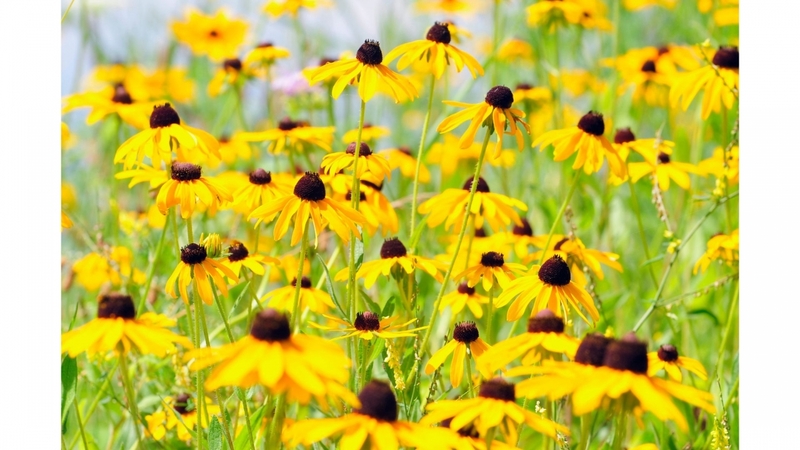 Since 2000, a total of 426 hectares (1,054 acres) of land has been restored in the Detroit River watersheds through this program! 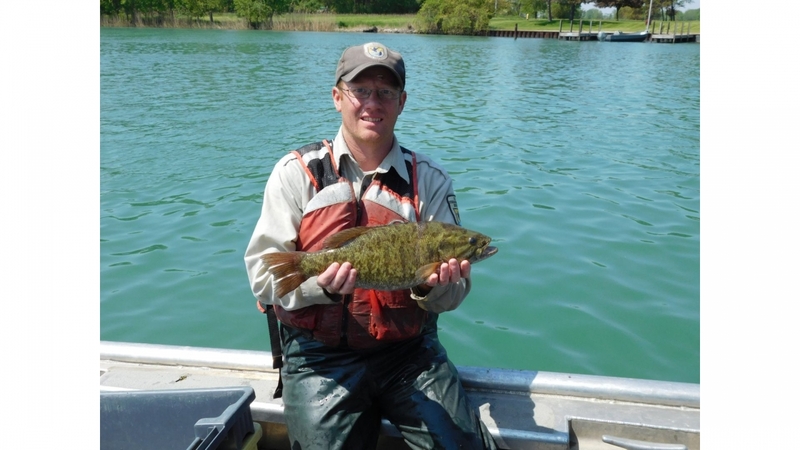 A manual was created to guide shoreline restoration efforts for private landowners working within the Detroit River AOC, and to assist the DRCC partnership in determining the suitability of various sites for implementing fish habitat enhancement works. 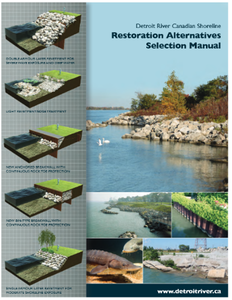 The manual describes the various options for shoreline restoration that are possible along the Canadian side of the Detroit River for different project types. 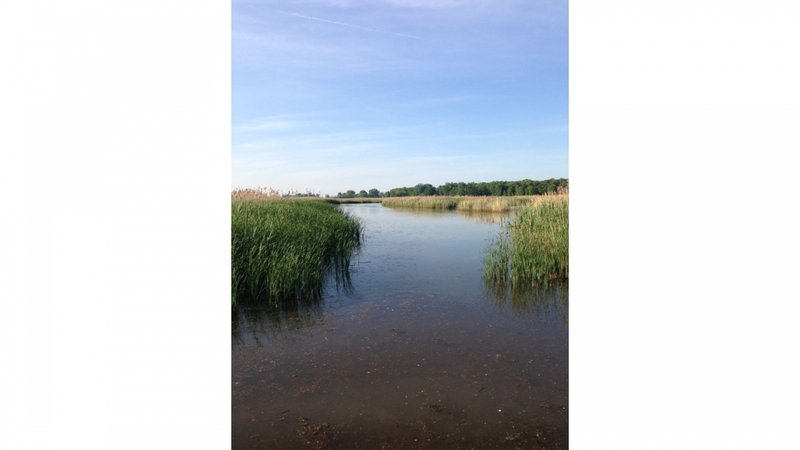 As well, it offers an easy-to-follow decision making matrix to help guide landowners, contractors, and the technical staff of various approving agencies to choose the best shoreline solution for a given site, based on common site characteristics. 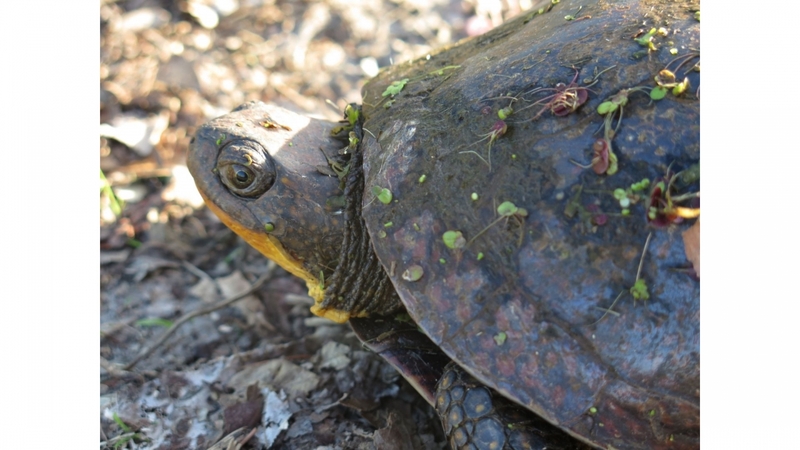 Additionally, in 2016, the Shoreline Design Manual was updated to include a decision matrix and a map to help landowners decide which fish-friendly shoreline erosion protection techniques is best for them. 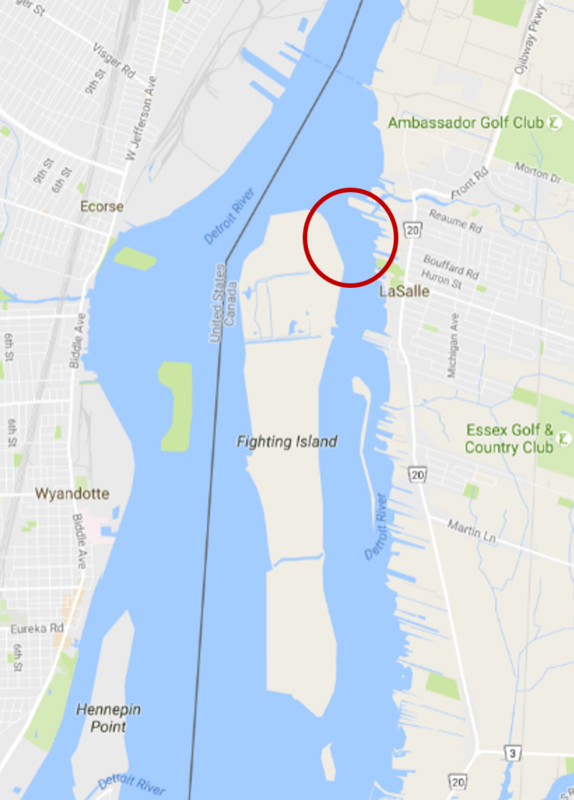 In 2011, a broad partnership of organizations worked together to restore 200 m of shoreline at the River Canard Park, co-owned by the Town of LaSalle and the Town of Amherstburg, to improve fish habitat for over 25 fish species and provide erosion protection. 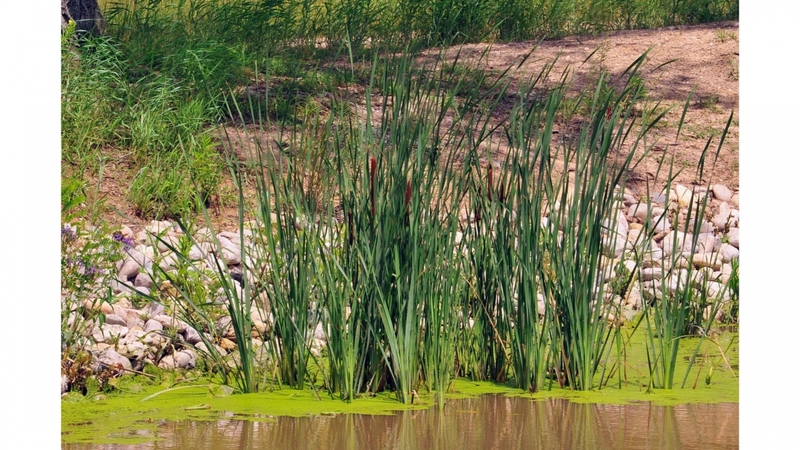 The project utilized a variety of soft shoreline techniques including using a diversity of stone types, shapes and sizes to create small spaces for fish eggs and invertebrates, increasing the overall shoreline length (by changing its shape) and creating of a deep water pool to further improve fish habitat. 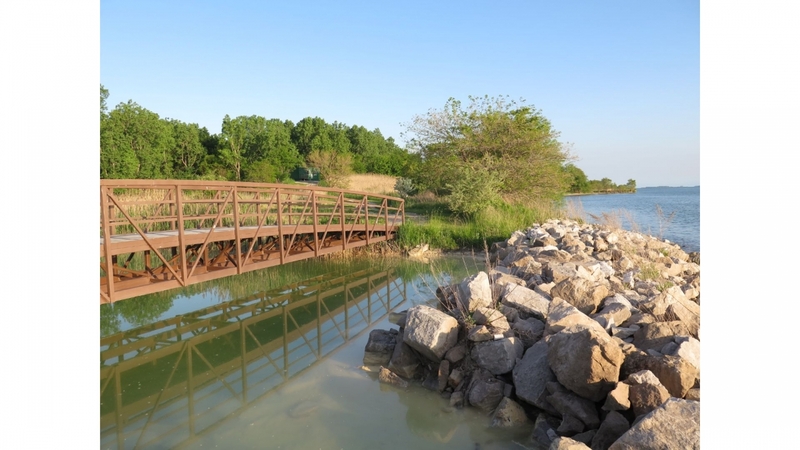 A walking trail, two large viewing platforms and a fishing platform were constructed to enhance visitor experiences. 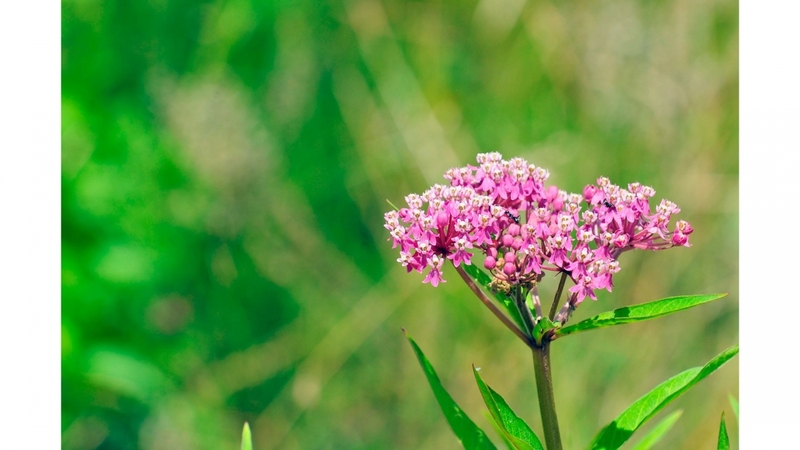 The streamside area of the park was restored using native prairie plant species and trees, including beautiful flowers that will attract birds and butterflies as well as provide colour to the park throughout most of the growing season. 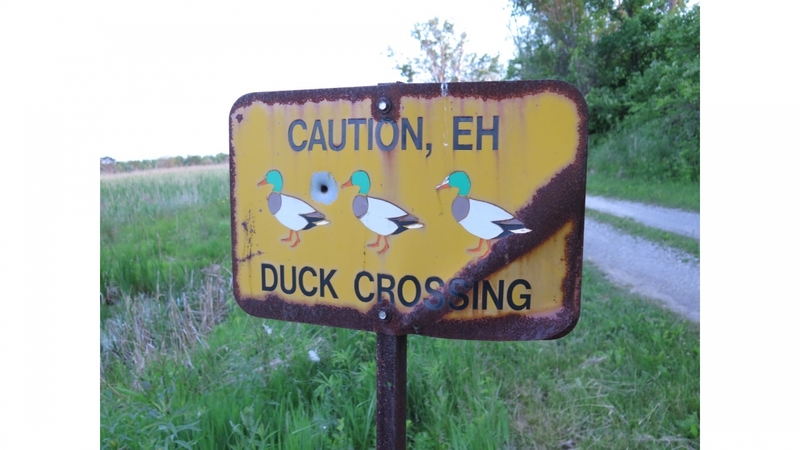 An interpretive sign describes the restoration project and highlights the environmental features of the Canard River. The park has a small boat ramp which will allow access by kayakers and canoeists. Project partners included the Essex Region Conservation Authority, Friends of Canard River, Town of LaSalle, Town of Amherstburg, Great Lakes Sustainability Fund, Ontario Ministry of Natural Resources, Ontario Ministry of Environment, Essex County Stewardship Network, Amherst Quarries Ltd., and West Windsor Power. 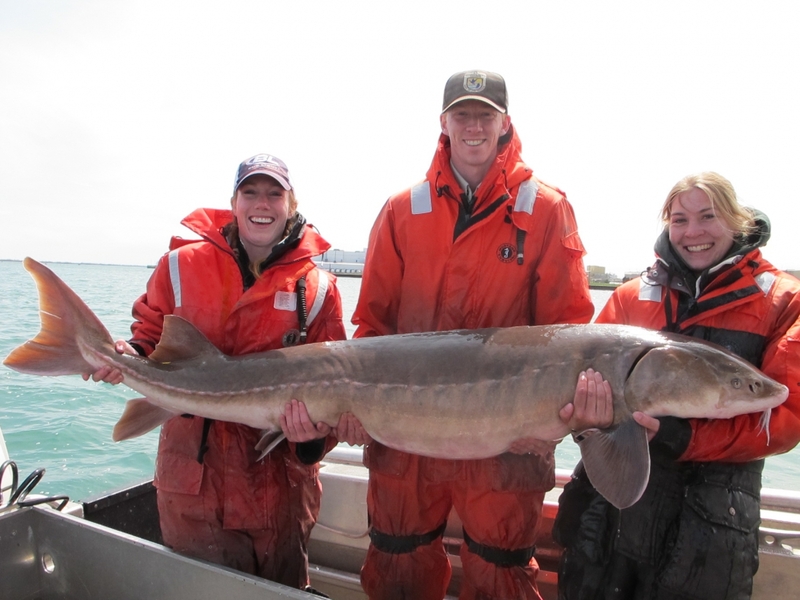 Lake Sturgeon live in freshwater lakes and rivers with soft bottoms of mud, sand or gravel. They spawn in fast flowing water with gravel and boulders at the bottom. 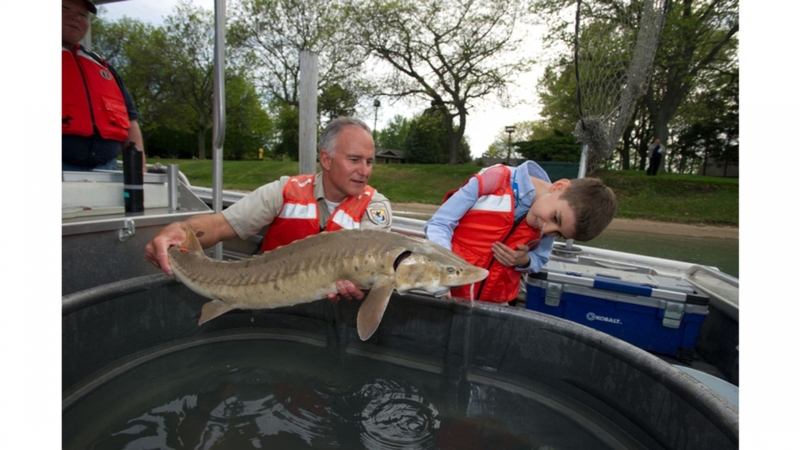 Lake Sturgeon feed along the bottom on invertebrates, leeches, snails, clams, small fish, and algae. They can grow to more than 7 feet long and weigh more than 300lbs! 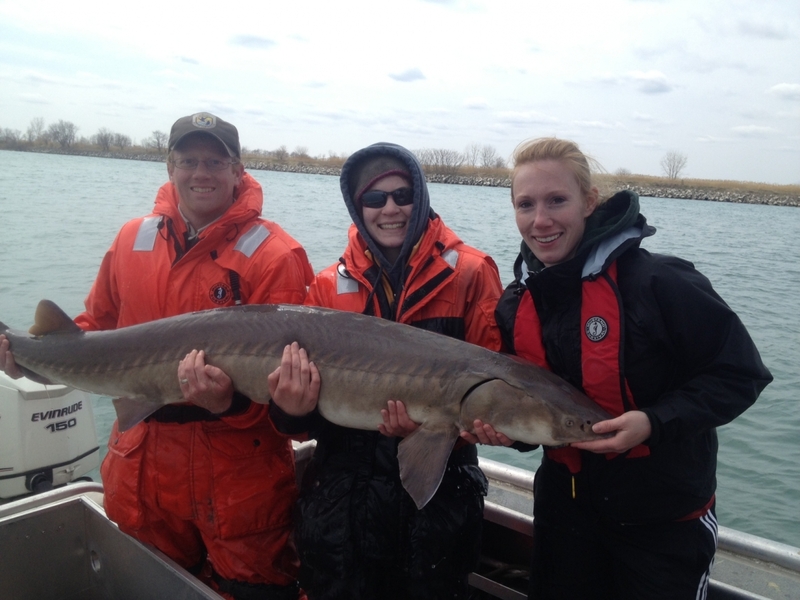 Lake Sturgeon were once widespread in the Great Lakes, including the Detroit River. Sadly, the current population today is only approximately 1% of what it was historically. 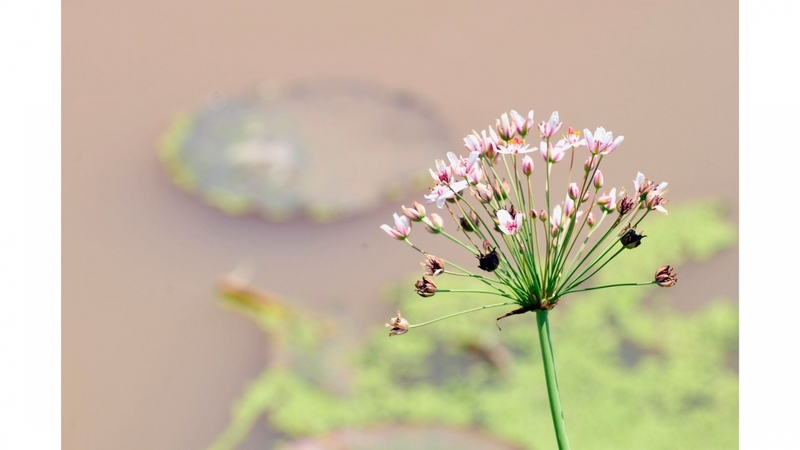 Over-harvesting, dams, habitat loss, and poor water quality were responsible for the massive decline throughout North America. 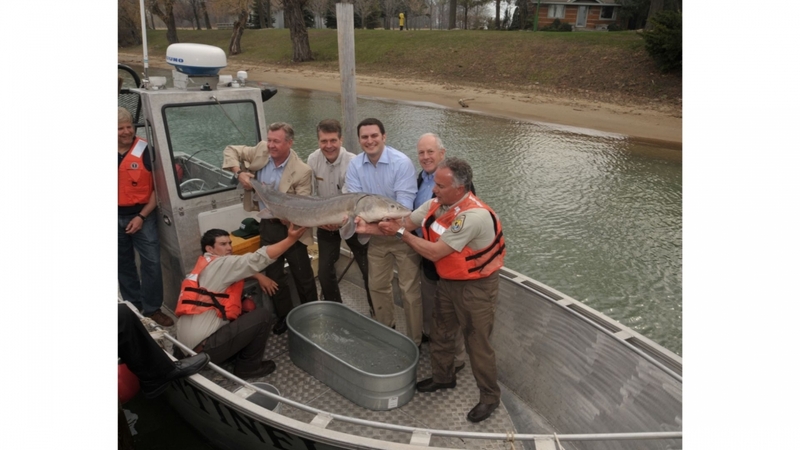 Today, various organizations in Canada and the United States are working together to protect Lake Sturgeon. Spawning reefs were built out of cobble and limestone in traditional spawning areas. Success has been rapid! 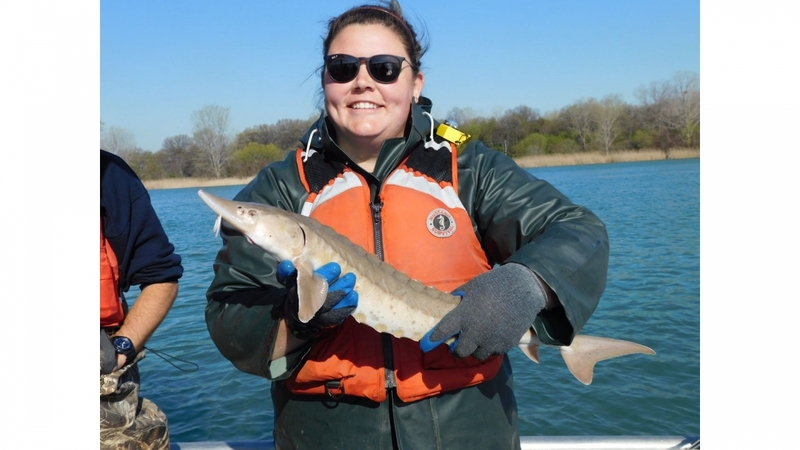 Lake Sturgeon, Walleye, and Lake Whitefish spawned almost immediately on a 1 hectare (2.3 acre) underwater reef in LaSalle.